Facebook has been a fixture in the news since the last presidential election, with CEO Mark Zuckerberg appearing in front of Congress in Fall 2017 to answer questions regarding the flourishing of fake news and selling ads to Russian propaganda-ists. It’s fair to say the social media giant isn’t having the smoothest year. Read on to see how Facebook is responding online with digital insights from their ad strategy over time. Here at Pathmatics, we’ve looked at companies in several industries who have shifted their digital ad strategy in the wake of PR scandals, including United Air Lines (as well as other airlines) , Wells Fargo, and Samsung. 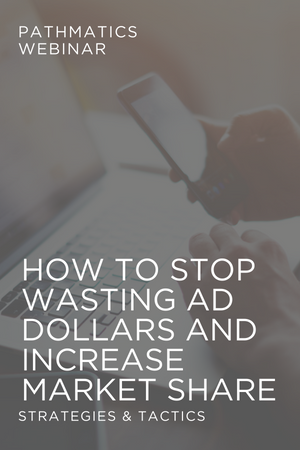 Pathmatics data uncovers image recovery strategies specific to each company, which include: slowing down or stopping advertising, a shift in site placement and spending, and/or new overall messaging. Recent data shows that Facebook’s response reflects a key shift in corporate messaging, as well as a new strategy regarding top sites and spending breakdown across devices. The bad press for Facebook didn’t stop with Zuckerberg’s April 2018 apology to the House Committee on Energy and Commerce: "It was my mistake, and I’m sorry. I started Facebook, I run it, and I’m responsible for what happens here…So now we have to go through every part of our relationship with people and make sure we’re taking a broad enough view of our responsibility." Soon after, news broke of Cambridge Analytica accessing user data through 3rd party apps. Changes in user privacy settings followed, with controversy mounting regarding data privacy and security, Facebook algorithms, and even free speech. 2018 Facebook Video Ad: reconnecting to Facebook's roots and a promise to "keep you safe." Facebook’s most recent digital ads explicitly echo both the news as well as user complaints around “spam, fake news, and data misuse”, and simultaneously call to rewind back to Facebook roots: connection to friends and family. This 2018 messaging shows a definite shift in Facebook’s internal goals – by making promises to its users. These creatives appeared in June 2018, and in a shift from earlier placement strategy, they were placed on sites other than facebook.com. 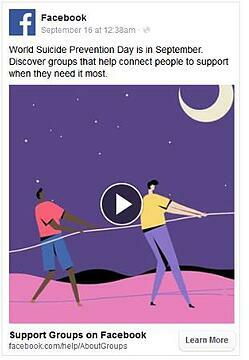 The June 2018 banner ad reminding users to "Connect with friends and family on Facebook" reflects a focused shift back to Facebook's original mission. Digital ad messaging in 2017 and 2016 focused more on Facebook itself, whether it be about product features, the theme of connecting friends and family, or culture of giving back to the community. Throughout 2017, Facebook ran ads mainly on Facebook itself, with only 1 percent to 2 percent of their budget running on desktop display and desktop video. Facebook messaging throughout 2017 covered social issues such as suicide awareness, community service, and Facebook’s own features, such as the “Facebook marketplace”. This messaging was included in campaigns ran on top site Facebook. This creative for "Facebook Support Groups" ran from September 18th to the 30th, 2017 on the social network's own site. Around the time of the company's first appearance at Congress, Facebook launched creatives reminding users that the social network was a safe place to share. 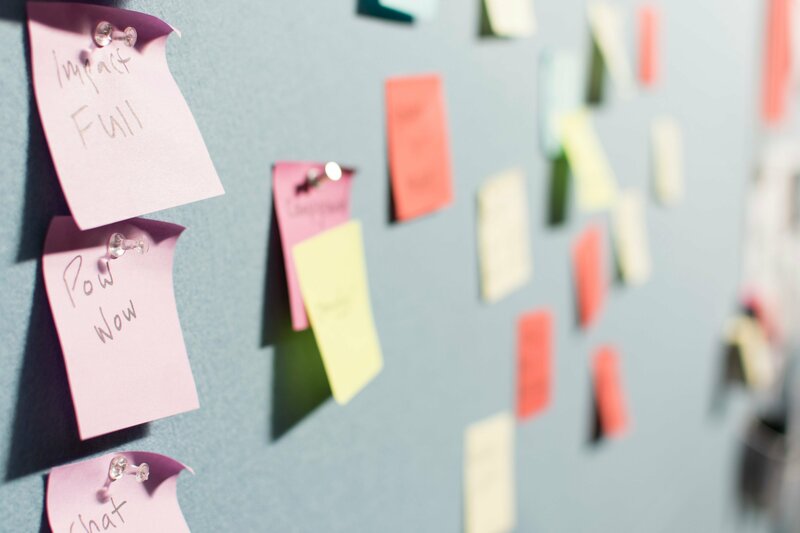 While the brand touched on topics with greater social impact, like suicide awareness and users with vision loss, the corporate messaging refresh was in the early stages. The common theme for 2017 messaging was that Facebook was happy to use its' home ad space to broadcast its' own product features. Facebook 2016 messaging was similar enough to 2017, with one main difference: site placement included youtube.com and ancestry.com. 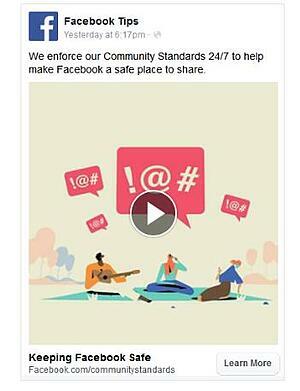 Messaging themes focused on Facebook’s community service, as well as the brand's own features. An ad focused on Facebook’s altruism let users know that the company was increasing internet access in under-served geographies using solar planes, and ran from September to November 2016 on top site youtube.com. Lastly, an ad reminding users of a core use - to “build out your family tree” and connect on Facebook ran from April to June 2016 on top site ancestry.com. This was to promote a "Facebook Import" feature to bring in new users to the social networking site. In an effort to stem the tide of user loss and bolster confidence in the brand, Facebook has made an effort through its’ messaging to acknowledge current news as well as Facebook user complaints. We will see how the brand continues their efforts promoting trust and credibility in the wake of their current challenges. Want to see how your competitor is advertising across digital? Request a free brand report to gain access to digital insights – including top sites, creatives, buying partners, and more.